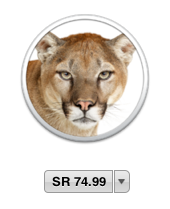 Apple has changed the currency for the Saudi Arabia App Store from United States Dollars to Saudi Riyals. A few examples: a $0.99 app now costs SR 3.69 and a $19.99 now costs SR 74.99. The change happened with the UAE App Store and Dirhams. Other Arab countries still has US$ for their app prices.